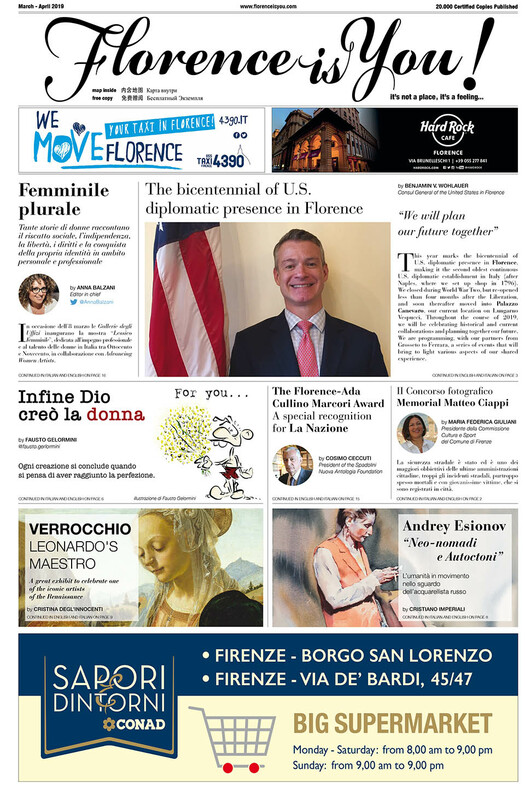 Gli “occhi levati” - Il viaggio interiore e spirituale di Dante - Florence is You! Il viaggio di Dante, non solo all’interno della Divina Commedia, ma lungo tutta l’evoluzione della sua opera, è un viaggio principalmente interiore. E questo è bene sottolinearlo nella nostra epoca dove primeggia il culto dell’immagine. La vista, diceva Aristotele, è il senso più potente e dal quale però bisogna in qualche modo liberarsi. Con quali occhi? Con occhi interiori, risponderebbe oggi Dante, anche se questa espressione è moderna e non si trova nei suoi testi. Con che occhi allora si compie un cammino spirituale e filosofico? Con occhi “torti”, occhi “levati”, con occhi che “ardono”. Potremmo dire: “senza occhi”, occhi “levàti”, nel senso che sono tolti: “poggiai la mia persona simulatamente ad una pintura la quale circundava questa magione; e temendo non altri si fosse accorto del mio tremare, levaili occhi, e mirando le donne, vidi tra loro la gentilissima Beatrice” (Vita Nova, XIV, 4). È non solo elevando, ma proprio “levando” che appare la donna simbolo della propria coscienza, della filosofia e della fede. Del resto, in merito a Virgilio, Dante scrive: “mi mise dentro a le segrete cose” (Inf. III, 21). “Segrete”, ovvero “nascoste” alla nostra vista quotidiana. Dante’s journey, not limited to the Divine Comedy but extended to the whole evolution of his works, is first and foremost an interior one. And this must be highlighted in our times, where the cult of the image prevails. Sight, as told by Aristotle, is the strongest of senses, from which we must somehow free ourselves. With what eyes? 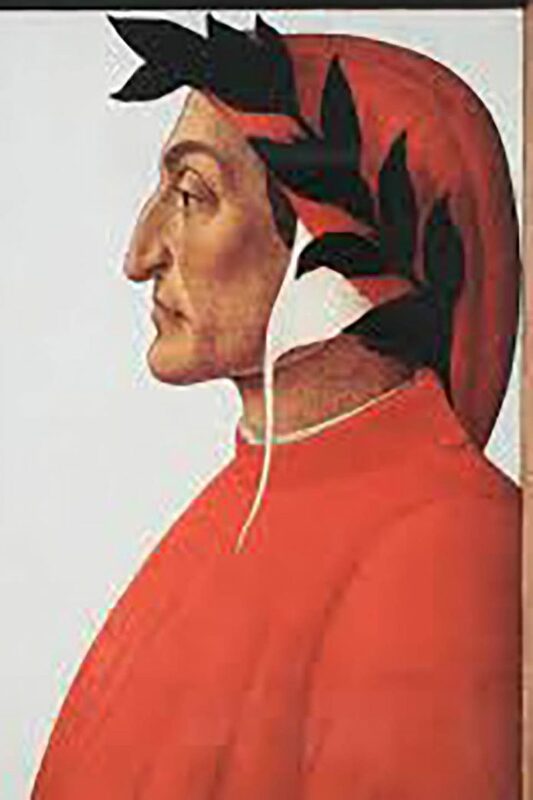 Today Dante would respond: with interior eyes, although this expression is modern and is not found in his texts. With what eyes then must one complete a spiritual and philosophical journey? With “twisted” eyes, with “raised” eyes, with eyes that “burn”. We could say: “without eyes”, “removed” eyes, in the sense that they are taken away: “I quietly leaned back against a fresco that ran round the walls of the house: and fearing lest others might be aware of my trembling, I raised my eyes, and gazing at the ladies, I saw the most graceful Beatrice among them” (Vita Nova, XIV, 4). And it is not just by raising but also by actually “removing” the appearance of the woman that is a symbol of conscience, of philosophy, and of faith. After all, with regards to Virgil, Dante writes: “he led me towards the secret things” (Inf. III, 21). “Secret”, as in “hidden” from our daily lives.